MAC Bulldog Kalista Clark plays a game of dodge ball. MAC Bulldog Tomi Brazill makes the play at first. MAC Bulldog Frankie Smith makes a bare-handed catch. 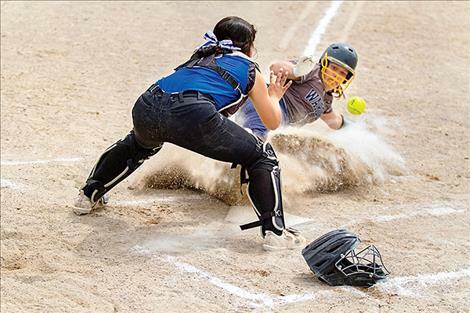 MAC Bulldog Azia Humphrey defends the plate. After a shaky start to an already late spring season, MAC is heating up at the plate and in the circle. In the last six games, MAC has gone 4 for 6, outscoring their opponents with a combined run total of 68-37. 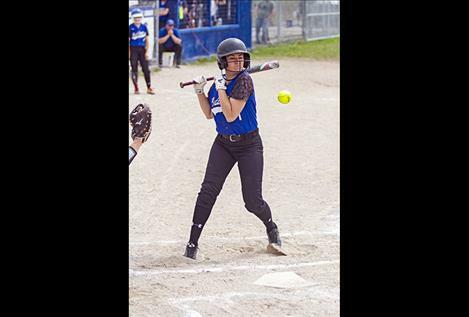 On Tuesday, MAC split a double-header on the road against the Plains Trotters. The Bulldogs won the opener 7-4 but were unable to recover in the nightcap after giving up seven runs in the second inning, losing 13-8. The Bulldogs swept a doubleheader against hosting Manhattan Tigers Thursday with a 15-0 shutout win to start the day and a 12-1 victory in the second. In game one, Ashley Tanner belted a homerun, while pitcher Tomi Brazill notched two wins in the circle. 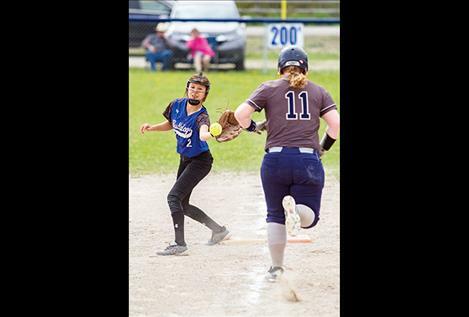 MAC battled Deer Lodge to a doubleheader split at home on Saturday. A dominant multi hit effort by Azia Humphrey, Brazill, Frankie Smith, Tanner and Haley Crawford gave MAC the 12-4 victory in game one. 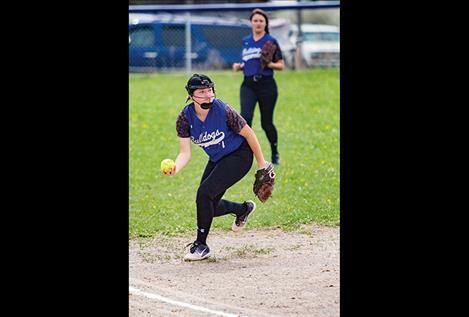 The Bulldogs made the most of their opportunities in game two, however an unfortunate fielding miscue in the bottom of the seventh inning allowed the winning run to slip across the plate giving Deer Lodge the 15-14 win. With the regular season just a few games away, MAC looks poised to make another deep run into the postseason.